There have probably never been three words more used and abused than the words I love you. People all over the world say these three tiny words to each other, some hoping that they will hear it back, and others just because they are bursting with emotion and simply want to express themselves. How do you know when the time is right, though? Are you unsure about expressing your love to your partner, worrying it may be too early or too late? These are the signs that will tell you when the time is right to share the love. When you are sure about your feelings. 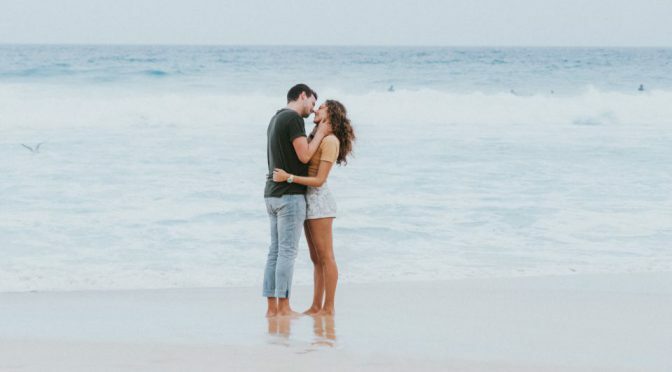 Even if you are not sure she feels the same way, if you are convinced it’s not just a crush or infatuation that you are feeling but a deep kind of affection, care, and the desire to spend your time with her, you can be honest and share your thoughts and emotions with your girl. When you know you can really prove your words with actions. Can you back your claim with actions? Will you be there for her when things get tough? Do you feel like you don’t just admire her looks or positive traits, but also like her darker moments, her flaws, her weaknesses, and insecurities? When we genuinely love someone, we love all of him/ her, not just the good parts. And we know for a fact that we can prove our words with real actions when the time comes (because the time will come, as it always does). When you feel comfortable enough around her to express yourself. Real love should be easy; it should come naturally and not be forced. The people we love will make us feel at ease and never push us into saying things. If you feel that it won’t scare her away or put her under pressure, you should open up to her and let her know about your feelings towards her. You shouldn’t say I love you just because you want to hear it back. And you shouldn’t say it because she said it first and put you on the spot, either. You should never say I love you to get what you want, as a way of emotional manipulation or just because you feel like this is what she wants to hear. Three simple words can hold such a strong meaning, they are almost sacred. Save your I love yous for the people who deserve them and cherish those who tell you I love you and prove it with the way they treat you. These three words can make someone very happy, so make sure they really mean something when you say them.